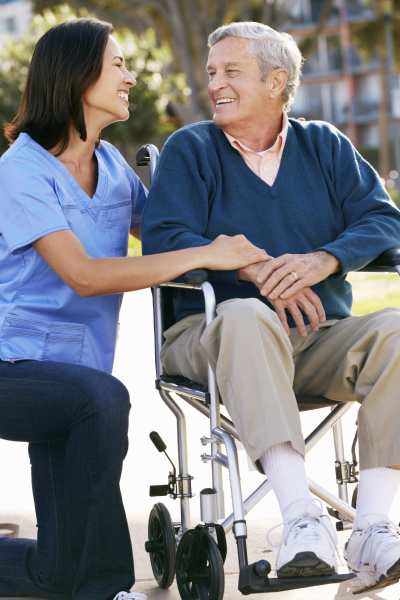 Acclaim Home Care Services is Licensed, Medicare Certified and Joint Commission Accredited. We accept Medicare, Tricare, Molina Healthcare, Workers Compensation & LTCG (Long Term Care Insurance). We are a 5-Star Quality Rated home healthcare agency by CMS/Medicare’s rating system and our clinicians fluently speak English, Spanish & Creole languages, specifically designed to service South Florida’s culturally diverse populations. Make Acclaim Home Care Services your Home Care of Choice. To provide the highest quality care for our clients and their families in the communities we serve. We commit ourselves to providing affordable healthcare with an emphasis on Integrity, Reliability and Outstanding Healthcare Services. To be the home care of choice within the communities we serve. We value those we serve and treat our clients, referral sources and staff with respect, empathy, courtesy and compassion. Our complete patient care delivery systems drive our goals towards positive patient outcomes, reduced 30-day hospital re-admission statistics and Triple Aim sustainability within the Healthcare Industry. Home Health Care is defined as services provided by licensed & trained medical personnel ordered by a licensed physician. A Home Health Agency is licensed by the state and AHCA (Agency for Healthcare Administration) to provide skilled services to seniors who in most cases have been discharged from the hospital setting or skilled nursing facility, but require continued skilled care in the home setting. Home health care services include Intermittent Skilled Nursing care, Occupational Therapy, Physical Therapy and Speech Therapy for seniors who remain homebound due to a lack of Physical Independence. A quality home health agency’s main responsibility to a patient is re-establishment of physical and mental independence. Through the accreditation process, organizations learn state-of-the-art performance-improvement strategies in order to continuously improve the safety and quality of care, which can reduce the risk of errors and the cost of liability insurance coverage. It also provides invaluable education, whether that’s through our support and education services, advice and counsel from surveyors during the on-site survey, or practical tools, such as The Leading Practice Library or Targeted Solutions Tools – interactive web-based tools from the Joint Commission Center for Transforming Healthcare that allow accredited organizations to measure their performance and find customized solutions. Send us a quick message and a member of our staff will get back to you as soon as possible.